Bear Valley, California, July 27, 2008-Telegraph Fire near Yosemite National Park.Carson helicopter over Mount Bullion. 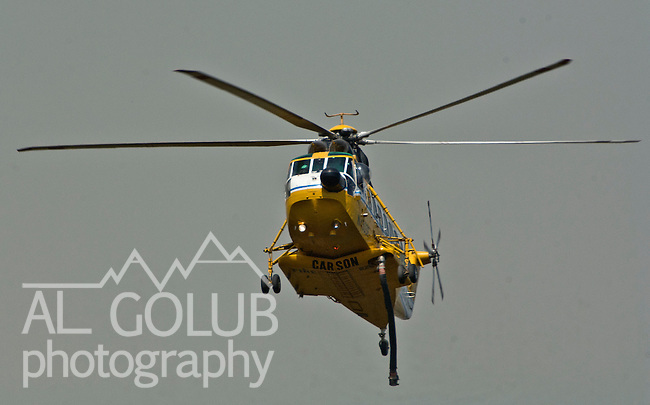 Carson Sikorsky S-61 Helicopter fly over Telegraph Fire. Similar to Aircraft that crashed in the Trinity Alps. Image taken from Highway 49. Between Mt. Bullion and Bear Valley..Photo by Al GOLUB/Golub Photography.